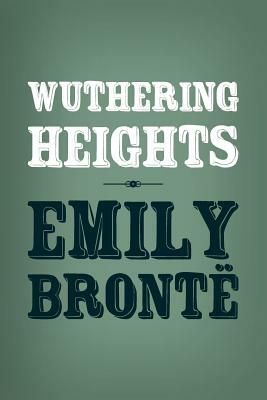 Wuthering Heights a novel by Emily Bront , first published in 1847 under the pseudonym Ellis Bell. It was her first and only published novel: she died the following year, at age 30. The decision to publish came after the success of her sister Charlotte's novel, Jane Eyre. After Emily's death, Charlotte edited the manuscript of Wuthering Heights, and arranged for the edited version to be published as a posthumous second edition in 1850. Wuthering Heights is the name of the farmhouse on the North York Moors where the story unfolds. The book's core theme is the destructive effect that jealousy and vengefulness have, both on the jealous or vengeful individuals and on their communities. Although Wuthering Heights is now widely regarded as a classic of English literature, it received mixed reviews when first published, and was considered controversial because its depiction of mental and physical cruelty was unusually stark, and it challenged strict Victorian ideals of the day, including religious hypocrisy, morality, social classes and gender inequality. The English poet and painter Dante Gabriel Rossetti referred to it as "A fiend of a book - an incredible monster ... The action is laid in hell, - only it seems places and people have English names there."